Big, bold leaves up to ten feet long! 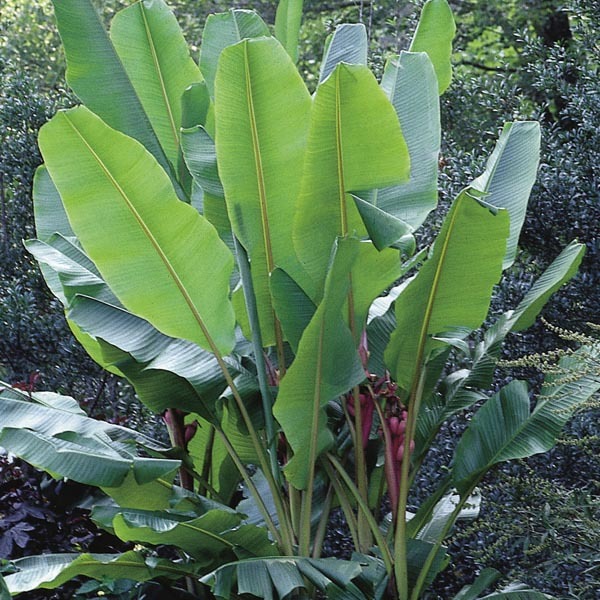 Also known as Japanese Banana, the basjoo species is popular not for its fruit, but for the tropical feel and drama it can bring to landscapes, patios and interiors. Keep sheltered from wind to protect the leaves from being shredded. Makes a breathtaking specimen plant. Excellent for planting along fences and walls. Nice for larger patio containers. Provides instant form and structure to the landscape. Grow in fertile, humus-rich soil. Keep soil moist, watering freely in dry weather. Provide shelter from strong winds. Fertilize regularly for best display.